Save up to 13%, why not try? Proclear contact lenses are monthly contact lenses that achieve clear, consistent vision, as well as a very high degree of comfort and hydration, from morning through till night. With CooperVision’s own PC Technology implemented into the design, Proclear contact lenses are able to lock in moisture and keep eyes hydrated throughout even the longest of days. The ideal monthly lenses for dry eyes, they are renowned for their reliability and can be worn for as long as 12 hours. 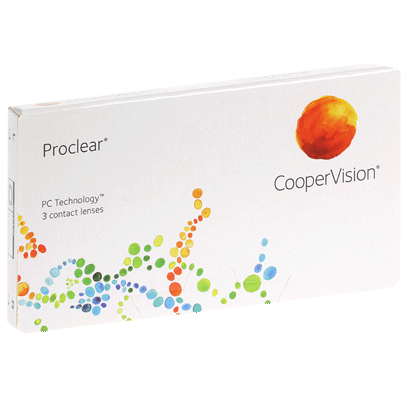 Perfect for contact lens wearers with busy lifestyles or office workers, Proclear monthly contacts are naturally resistant to the effects of air conditioning, digital screen use, indoor heating and other dehydrating influences. These monthly contact lenses are designed for daily wear, to be removed nightly and cleaned and stored in contact lens solution. 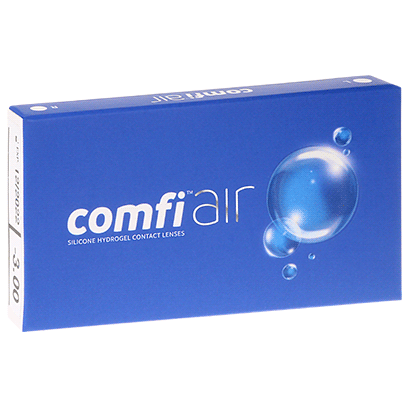 We stock a huge selection of multi-purpose contact lens solution, including our best-selling comfi All-in-One Solution, to help you look after your lenses. For any advice on taking care of your lenses, read our full guide. Available at the guaranteed cheapest UK price, we stock the whole range of Proclear contact lenses at FeelGoodContacts.com, saving you money on your lenses. comfi Air can be worn as an upgrade in terms of comfort. This is the third time I’ve ordered these lenses. Very reasonably priced & comfy to wear. Thin is in with these! I love them. As recommended by my opticians. Proclear are monthly contacts which I was offered from my opticians and have had great success with them. Easy to clean and easy to store . Much cheaper than my high street opticians but exact same product! I can’t feel them when they’re in. And they can last me a long time with overnight soaks in between uses. amazing lenses there was a time i couldnt wear lenses was recommended proclear for really dry eyes more then 10 years ago, been wearing it since. can rip easier so be careful. First few pairs I had were brilliant, but I''m finding that, recently, they seem to split more easily. Very comfy though. Did not enjoy these contact lenses at all. Very floppy making them difficult to put in, always turning themselves inside out or curling up, and just a faff in general compared to other lenses I've used. Once in they did feel very comfortable though. Comfortable to wear. I have been wearing these contacts for 15 years and never had a problem. .
First time bought contact lenses online and was worried a bit but turned out was the best choice by far. Brilliant quality good service and next day delivery, couldn’t ask more. Nice touch putting candy in the box as well. Will use again definitely!! So glad found this. Next day delivery.Great quality & service.All brand names at a cheap price. Used these contacts for a week max and they have split. In actually split in my eye meaning. I had to drive with only one in. Will not buy these again. Reviews were good but the contacts are not. Prescribed these lenses by moorfields.cost £54 for 3 .Feel good abouNo brainer!t £18 for 6. Cheaper and comfortable. Will definitely order them again. These are amazing, not only in price but in total comfort, will be sticking to these for sure. I normally use this brand anyway but was very impressed with the savings made by shopping with Feel Good contact lenses. I will continue with my order and recommend it to my friends. 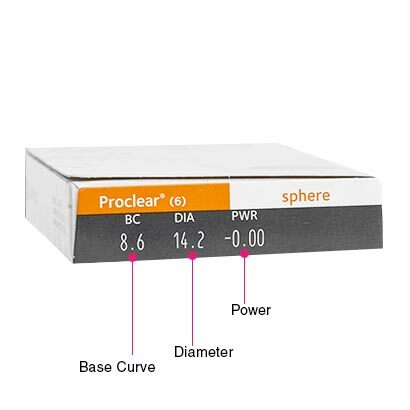 been using proclear compatibles/sphere for seven years now with no problems. 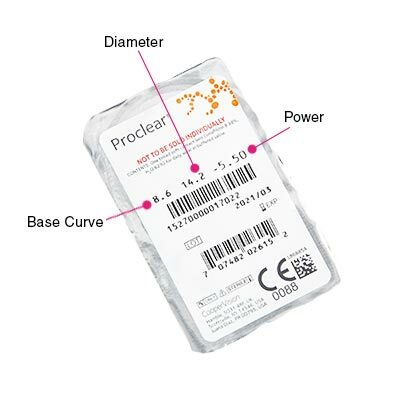 Am using pro clear monthly disposables as an alternative to specsavers and they are great, they are slightly thinner and extremely comfortable. ive a very high prescription which even tesco couldnt supply, no problems here and never had a problem with them. Ok, but not the best for studying. I normally use this particular brand anyway and was pleased to be able to buy it at a much reduced rate !!! very fast delivery and very comfortable lenses. highly recommend! Not a great product. Very thin, flimsy lenses. Tear easily and fold constantly. Water content not brilliant. Eyes felt dry by evening. Sent them back and exchanged for alternative brand. Excellent customer service. I do find the contacts can feel like they are there, unlike others I have tried. But for short term wear they are okay. Soft, comfortable. Easy to use. Very Impressed! Excellent service and I will be using it for the foreseeable future. Very comfortable & great price! Great service have us3d them on a number of occasions. These lenses were of good quality and very comfortable to wear. Don''t dry out all day had a good experience with them I''m gonna definitely order more! Comfortable and easy to use. My eyes feel less tired compared to my old lenses so more oxygen must be getting through! Very pleased. found these to be easy to wear , clear to see and cost effective . Second time ordering this. Works absolutely fine for me. Very happy to purchase these lenses from Feelgoodlenses as they were a very good price and next day delivery. So comfortable, no more dry eyes. These have been great contact lenses, very comfortable to wear all day. Arrived the next day in a strong box. So far so good. Very reasonable, I''d definitely recommend these to anyone who wears lenses. Ordered one day and received the next. Fantastic super efficient service, will definitely be buying from you again! I have been suffering quite badly with dryness in my eyes, since I''ve changed to Proclear contacts they have improved massively and definitely feel more comfortable to have daily. First time using this site. I needed to order my lenses to have them delivered next day and no where seemed to have my prescription in stock until I found this site. Very speedy delivery will definately order from here in future. Never had any problems with these lenses. I use them 10 or more hours a day. I thought it was too much, but they never become unconfortable (I also rub them before and after putting them on). I tried these new lenses as they were at a budget end of the market. I have to say they are top notch and I would recommend try these before expensive ones . You will not be disappointed . These are very comfortable lenses to wear, perfect for me. Yet to open and use the contact lenses. The package looks nicely done. Used pro clear sphere for about 10years now .moist and easy to use. Great product and not always easy to find. Very poor quality lenses. One was ripped before taking it out the packet. The other two lenses were too soft and irritated my eyes. They also constantly fell out and lasted a day before I threw them away. I have used this brand before with no problems so unsure if just a faulty batch. Have resumed using my normal brand Air Optic which are fantastic. love these lenses, buying off the internet they made it cheaper! They''re good and do what I need. I''ve always used pc technology. Fine, never had any issues. Nice, comfortable, serve long time if looked after well. Always delivered on time, and cheaper than any high st store. My ophthalmologist recommended this product a few years ago for my problem and the lenses work very well for me.